Designed for street performance, drag race, and handling applications, BMR Suspension BK049 Differential Bushings are the perfect wheelhop solution for any S550 Mustang being used for performance driving. BMR’s Differential Bushings offer huge increases in performance over the stock rubber bushings. The OE bushings are designed with air pockets and are made from soft rubber. These “voids”, coupled with soft material produce excessive differential movement during normal and aggressive driving. 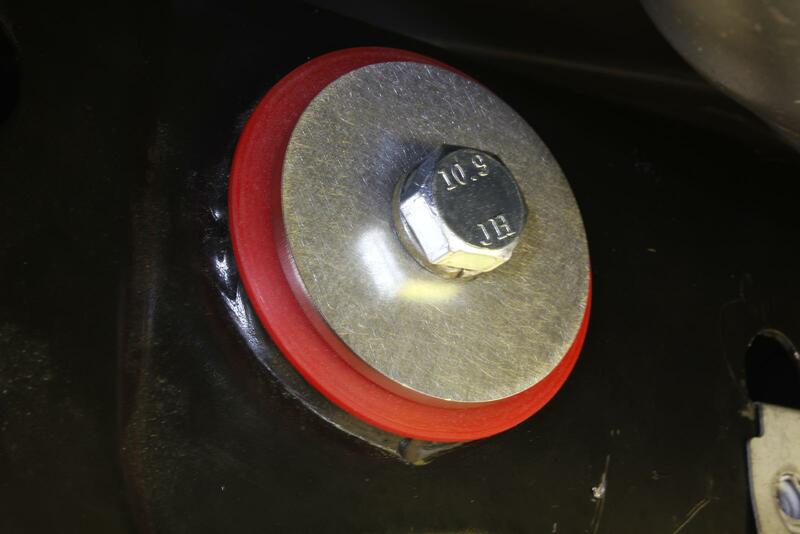 BMR’s polyurethane differential bushings replace the entire OE rubber bushing, minimizing differential movement by replacing the soft rubber OE bushings with 95-durometer 4 two-piece polyurethane bushings. This eliminates almost all differential movement, reducing wheelhop and increases handling stability, while giving you a much-improved overall feel in any performance driving situation.